Beautiful bath soaps made with lots of shea nut butter for a luxuriously rich lather. These soaps often contain dissolved silk or creamy coconut milk, and may be scented with either essential oils or fragrances. All of the 20% shea butter soaps are now made with the same base recipe as my Original Dry Skin soap, which was specifically formulated for dry skin. Many of my customers switch to these soaps in the winter months. 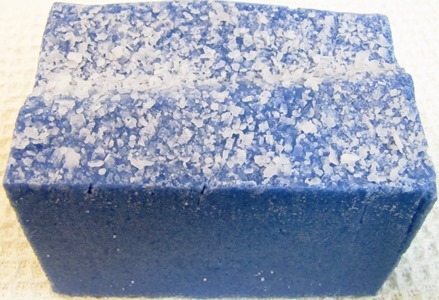 In addition to my line of 20% shea butter soaps, my sea salt soap Yemaya is made with 10% shea butter. 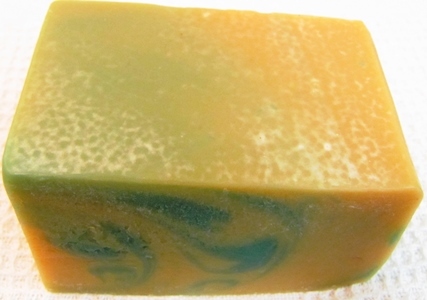 ​I've added this Bay Rum soap as a 20% shea butter bar in response to many requests from my shaving soap customers who wanted a companion bath bar to their shaving soap. As with Bay Rum, I've added Lily of the Valley to my line of 20% shea butter soaps in response to many requests from my shaving soap customers. 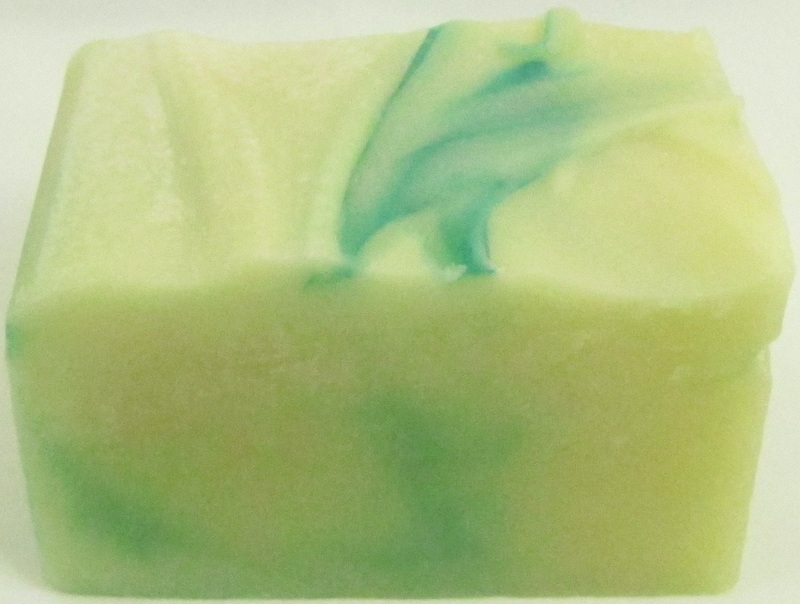 I've brought out a new version of Key Lime as part of my new line of 20% Shea Butter soaps - still, as before, beautifully scented with lime and May Chang essential oils. Now with 20% shea butter! 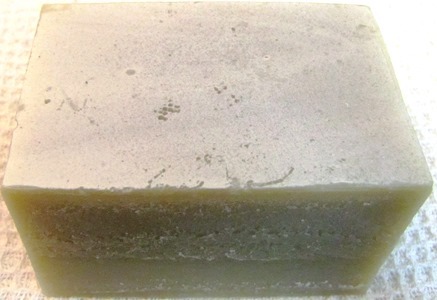 This lovely shea butter-enriched soap looks like a dark ocean horizon and a cloudy night sky. The complex scent is hard to categorize because it’s both floral and fruity, but has touches of amber, sandalwood and spices which give it complexity and depth. Sandalwood and rose, powdery and feminine without being too sweet. 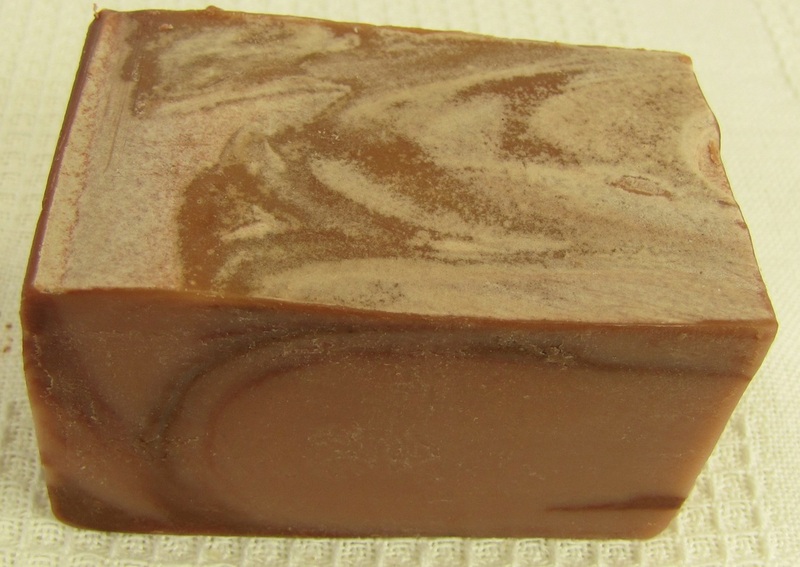 It’s a pale rosy brown shea butter-enriched soap with a swirl of darker pink clay. Now with 20% shea butter. 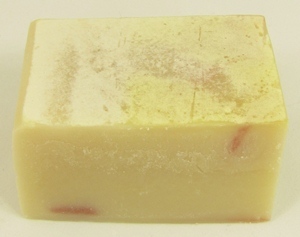 Many of you have asked for a Gardenia soap - and here it is, now in a rich 20% shea butter soap with silk and coconut milk.- PLEASE NOTE this year's version is pink and white rather than green and white as shown in the photo!! Amber, vanilla and cardamom are warm and sensual in this gold mica swirled creamy brown soap enriched with shea butter and dissolved silk. 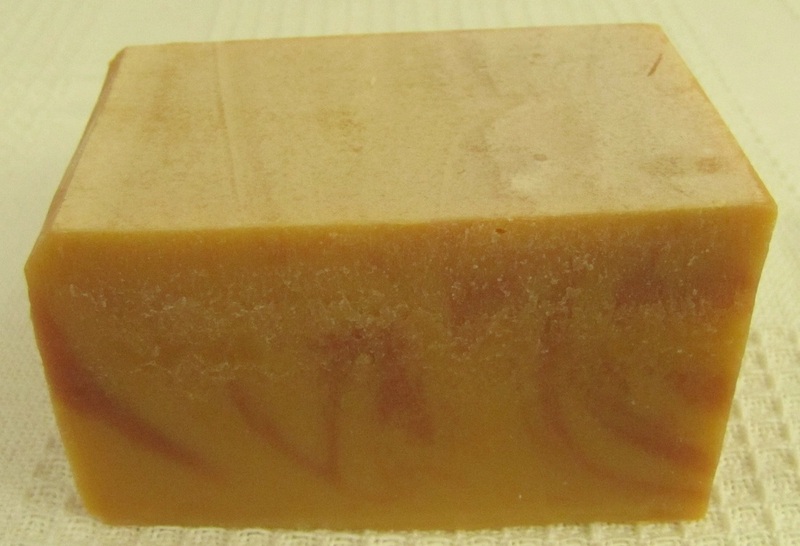 I love the lavender and orange peel used in this shea butter-enriched soap, with coconut milk and dissolved silk for a divinely decadent creamy lather. It smells of cotton candy, vanilla and caramel, lightened with fresh bergamot and citrus with touches of fruit and a dry-down of musk, anise, and woods. A delicate blend of tart lemon and freshly cut roses scenting the same 20% shea butter formula I developed for my Dry Skin Soap. Delightful, and very kind to your skin. The Maharaja of soap! Real sandalwood essential oil is becoming extremely expensive and increasingly rare because of over harvesting and illegal poaching. We use a sandalwood fragrance oil that has a persistent, sweet, and woody base note with a delicate, spicy, oriental undertone, very similar to real Mysore sandalwood oil. A shea butter-enriched soap colored deep red with Australian clay, with a white swirl and dissolved silk. 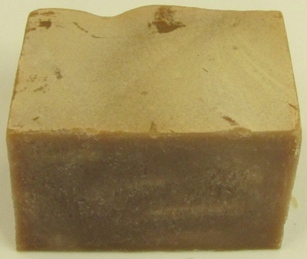 Sensual Mysore Sandalwood fragrance oil, musk and vanilla in a medium brown 20% shea butter-enriched soap with a textured top and dissolved silk. Long time customers may remember my Lapis Lazuli - Solstice is similar. 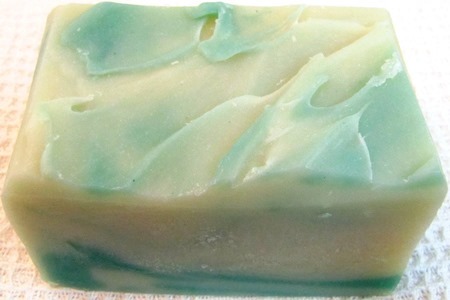 A dark blue 20% Shea Butter soap with swirls of white and gold - a rich blend of bergamot, sandalwood and cinnamon. 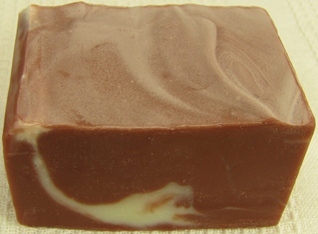 This rich bar is made with emollient olive oil that has been infused with a selection of herbs traditionally used for skin care, 20% unrefined shea nut butter, coconut milk, pure essential plant oils, a touch of clay and dissolved silk, and cured for a minimum of six weeks, to make a lovely naturally colored soap with dense creamy lather. 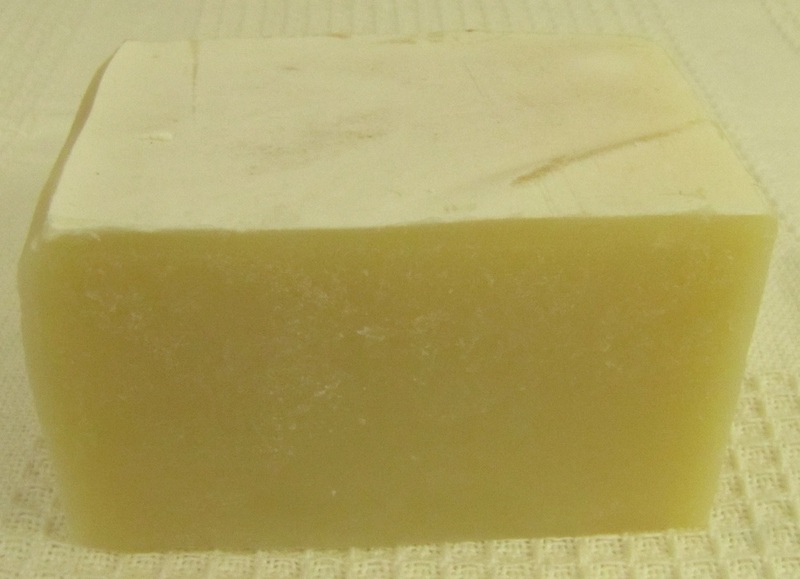 The same 20% shea butter formula as my Original Dry Skin soap, but without any herbs or fragrance. ​Photo of new Marrakesh bar forthcoming! 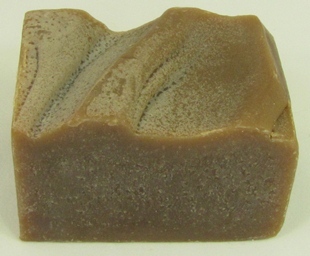 Marrakesh (formerly a salt soap) is now available as a 20% Shea Butter Soap. 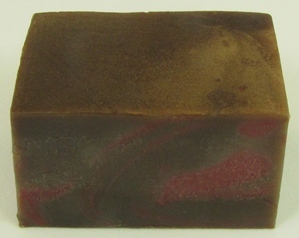 It has brick red swirls, scented with my own spicy essential oil blend with a generous amount of patchouli and that has been described as smelling like "the desert after a rainstorm". Named in honor of the Afro-Caribbean Goddess of the Sea, this is my most recent sea salt soap offering. Blue like the deep sea, Yemaya is made with 10% shea butter, coconut milk and the essential oils of orange, lemon, and cinnamon. None of my products is intended for the treatment of any medical condition. Please read labels carefully to avoid any known allergens and discontinue use immediately if any irritation occurs.